I’m pretty sure this is a Painted Lady butterfly. They are very common in our area (Alberta, Canada). 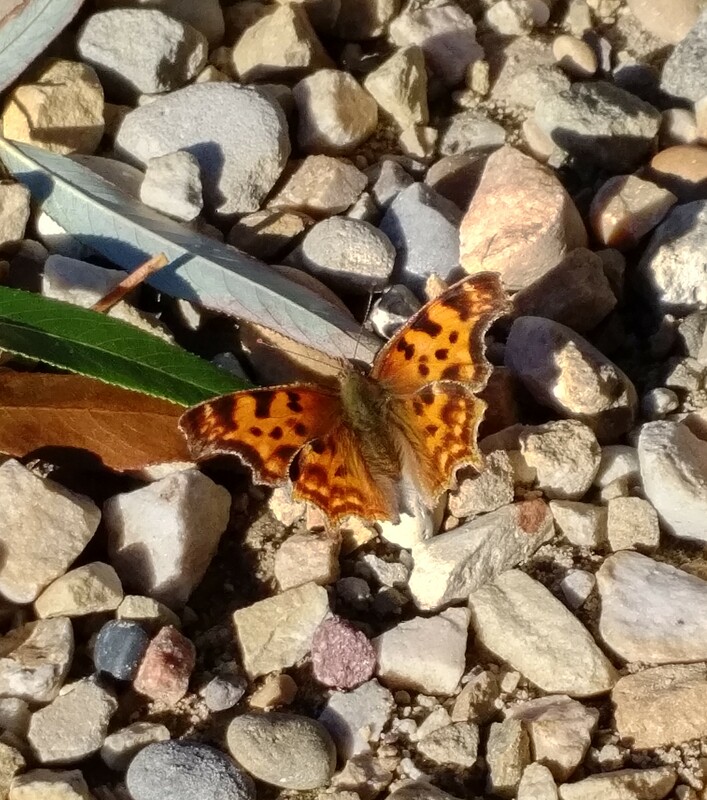 This one was soaking up some warmth from the sun/pebbles on our driveway.